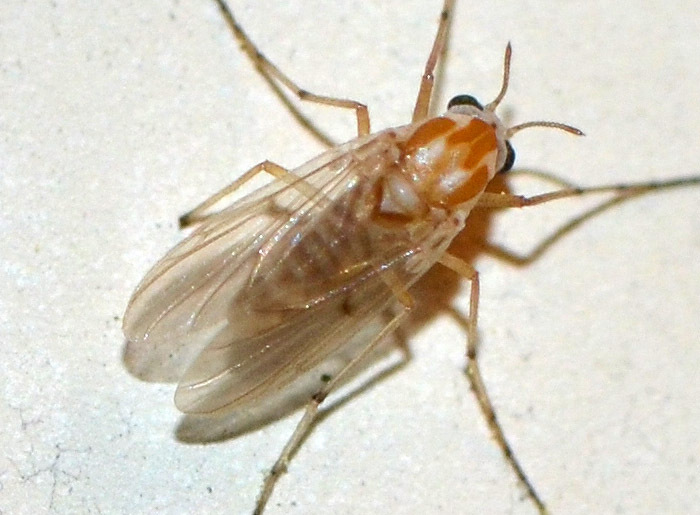 This midge belongs to the subgenus Holotanypus. Its members are generally brownish, thus distinguishing them from the brightly colored P. bellus and the black Procladius (Psilotanypus) subgenus. Identification of the actual species is exceedingly difficult. Size: approx. 2-3 mm. Photo: 04/02/18, 9 pm. 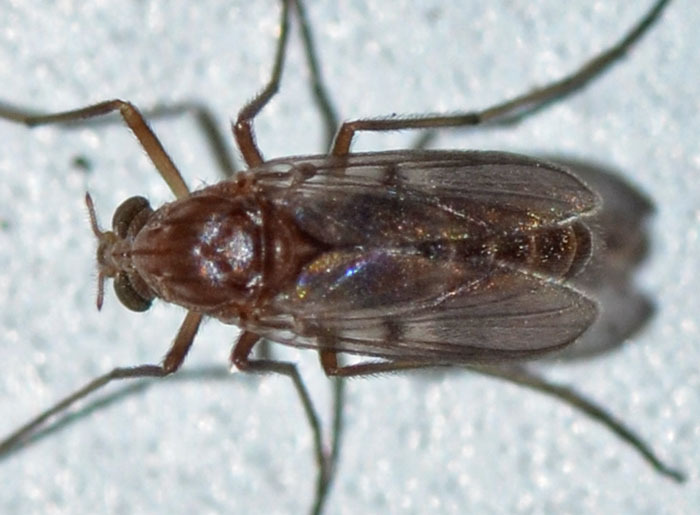 Rare find for the Southeast and I am quite happy with the image quality given that this little midge measures only 2-3 mm. Like its sister species, P. bellus prefers mud bottoms and are more often found near ponds and slow-moving water bodies.